This package contains an assortment of Wood Veneer Shapes. Use them for any of your Craft Projects -- and yes, Planners too! Look for coordinating Designer Papers, Paper Clips, Wood Embellishments and Journaling Stops. 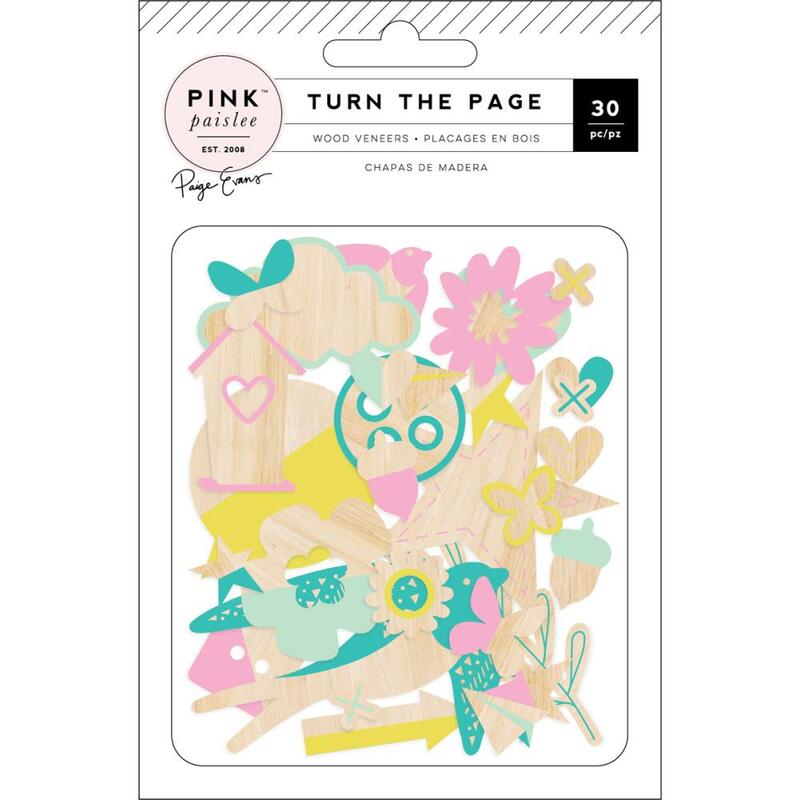 Turn The Page Collection by Pink Paislee.